The new Mens Hamilton Elvis80 Skeleton Auto from the American Classic Ventura collection is absolutely stunning. 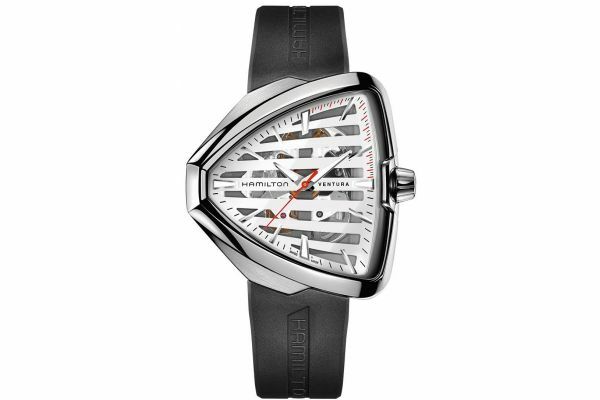 The unique triangular case shape sets is apart from any other timepiece while the hint of mechanism through the barred dial gives a vintage touch to a modern classic. 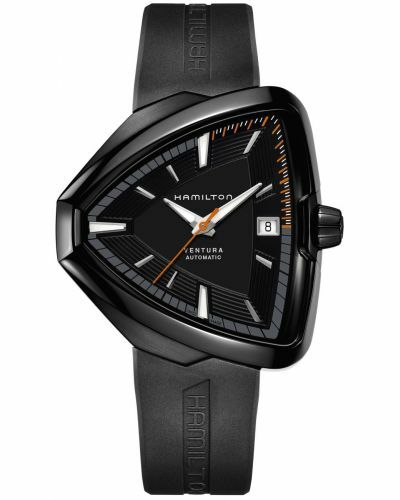 The strap is durable black rubber with the Hamilton logo subtley embossed. 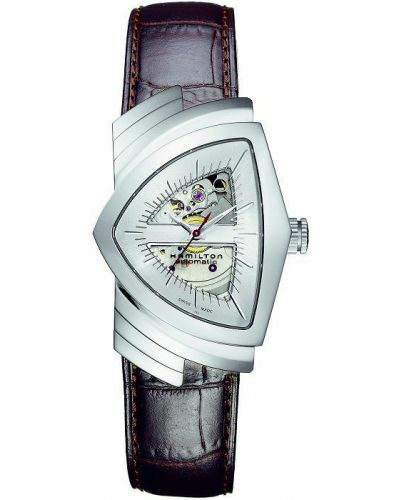 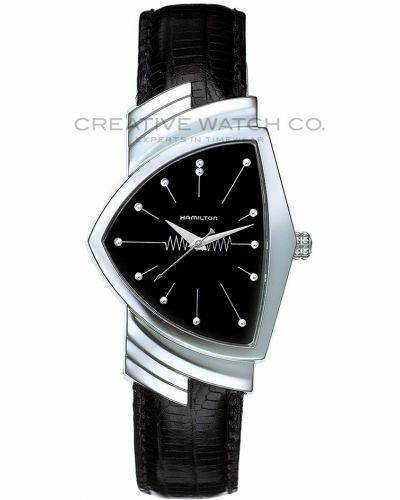 The Swiss Made automatic movement offers the wearer an 80 hour power reserve. 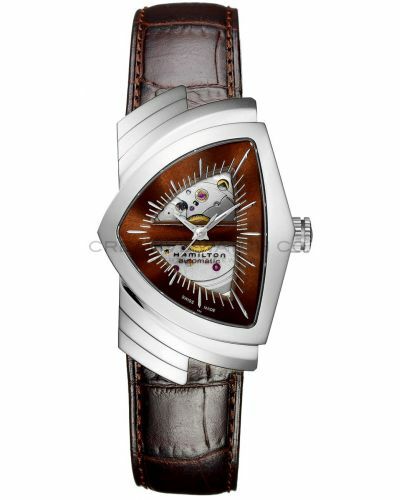 This watch comes with a 2 year guarantee. 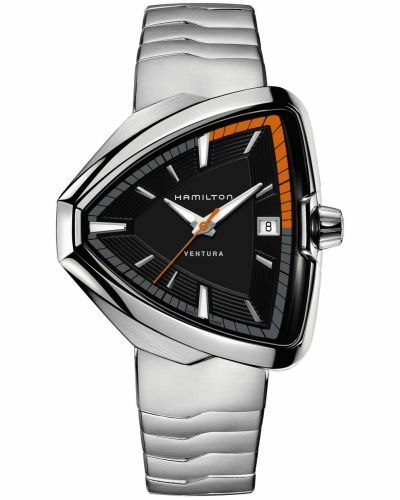 Hamilton American Classic Ventura H24555381.